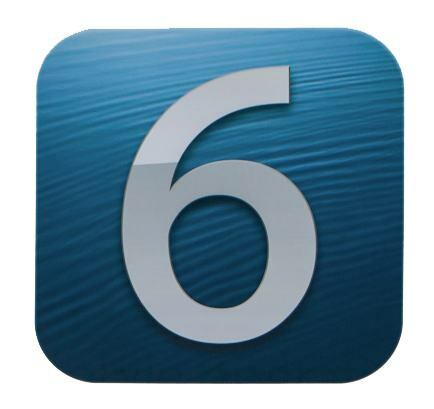 Apple has released its newest mobile operating system, iOS 6, and it is now available for download. Updating your device is as simple as connecting it to your computer and using iTunes to download the program. Another way to update is to select the “Settings” app, then select the “General” option. In “General” there is an option for “Software Update.” By selecting that your device will check for the update and, once it is found, will give you the option to “Download and Install.” Selecting that will automatically install the new operating system. What if you found yourself stuck alone at a faraway airport — with no money, credit cards or ID? How easily could you fly back home again? You might survive if you had a smartphone. Emerging “empty pockets” technology is increasingly allowing travelers to use their phones to make purchases, book flights, check in and board planes. What’s next? If some visionaries have their way, the future of mobile travel will touch virtually every key activity at the airport — including security and U.S. passports. Smartphone technology might improve airport efficiency and help ease the pain from skyrocketing traffic predicted in the next 20 years. Apple — still basking in the afterglow of last week’s iPhone 5 curtain raiser — is also unveiling Passbook, an app which organizes e-boarding passes, flight reservations, coupons and other documents. For example, imagine checking bags with your cell phone — or passing through security by flashing an official driver’s license or U.S. passport displayed on your phone. But let’s get real, say industry experts and government officials. As cool as all these ideas sound, extending Apple’s technology and influence to airport baggage tracking and TSA security would be unprecedented. “I’m always kind of staggered by the scale and complexity and the ambition that they have,” says mobile phone industry analyst Nick Holland of Yankee Group. As you might expect from the secretive folks at Apple, they wouldn’t talk to CNN about the patent documents. But we did grab some time with “Apple Insider” reporter Neil Hughes, who covers nothing but Apple, including its patents for future products. “Security may be the biggest issue,” says Hughes. Carrying all your personal ID and travel documents on a single device would be very tempting for skilled password hacks, says Hughes. The 2008 patent application was approved in July and filed under the working title “iTravel.” Hughes suspects the iTravel concept will be folded into Apple’s Passbook app, which will be available for download on Wednesday. Right now, Passbook will store electronic versions of airline boarding passes which will automatically pop up on iPhone screens when you arrive at the airport. The phone knows where you are, thanks to geo-locator technology. Currently — as most of us know — TSA agents briefly examine government ID and boarding passes as each passenger presents their documents at a checkpoint at the end of a security line. Under Apple’s patent, a traveler’s phone would automatically send electronic identification to a TSA agent as soon as the traveler gets in line. aviation authorities and longtime industry experts say Apple faces at least three high hurdles if they want to see this idea to fruition. To get around this problem, future phones or electronic ID may require some form of biometric security function — like fingerprint matching. radio frequency identification chip to hinder counterfeiters. The chip includes the same data as the paper passport, a unique chip ID number, a digital version of the passport holder’s photo “which will facilitate the use of face recognition technology at ports-of-entry,” according to the State Department website. Apple’s patent calls for the placement of special kiosks around the airport which will automatically exchange data with your phone via a close range wireless technology called near field communication (NFC). Apple phones — including the new iPhone 5 — don’t include NFC, but they eventually would, according to the iTravel patent. If consumers, airlines, airports and the TSA don’t embrace the NFC kiosks, experts say it’s unlikely Apple’s vision would become reality. Case in point: Google Wallet, a mobile phone app which allows people to make purchases with their NFC-enabled android phones. You set it up by attaching your Wallet account to your credit card. Then, you wave your phone near a special NFC-enabled point-of-purchase terminal, and voila! It’s paid for. Although the concept may be ahead of its time, analyst Holland says Google Wallet remains less than successful because there simply aren’t enough terminals. “They’re probably about three years premature,” Holland says.